NP, I may have found a mesh-reduction tweak to your method I’m going to try. I’ll make copies though. Please check how full your FF cache is and clean it: it could interfere with graphic operations in browser. 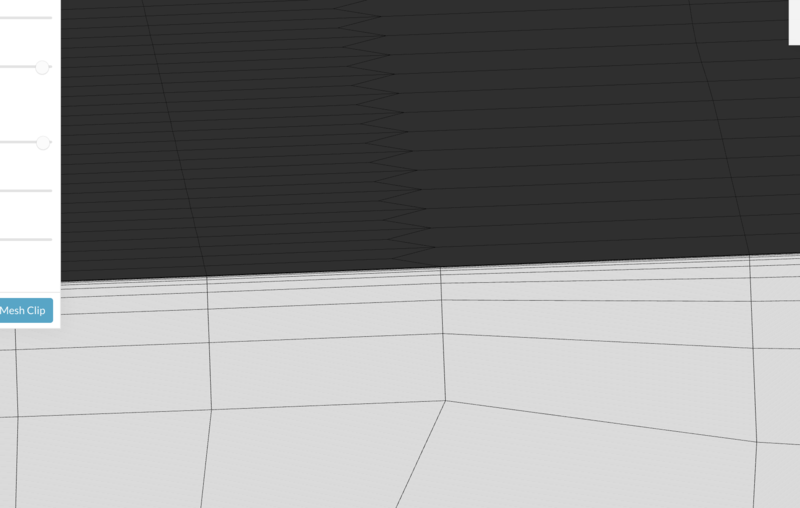 Okay this is pretty interesting… I’ve been playing with options on reduced geometry in this project. Apologies for the mess if you look in there, it’s a quick-iteration playspace. I’ve already said to @jousefm that I’ll clean up all these learnings into a clean project when I’m done so others can actually parse this thing without reviewing an 80 post thread. Prior mesh with good BL generation was attempting to generate 10 layers with ER=2 and FLT=0.37 (relative sizing) with surface refinement of 7-7 on a 1M square BMB. I had relaxed min determinant to 1E-7, min volume to 1E-30, and face twist to 0.001. This resulted in 90%ish coverage on most faces, total thickness of about 0.005m. Unfortunately this created a massive mesh at 25MM cells. 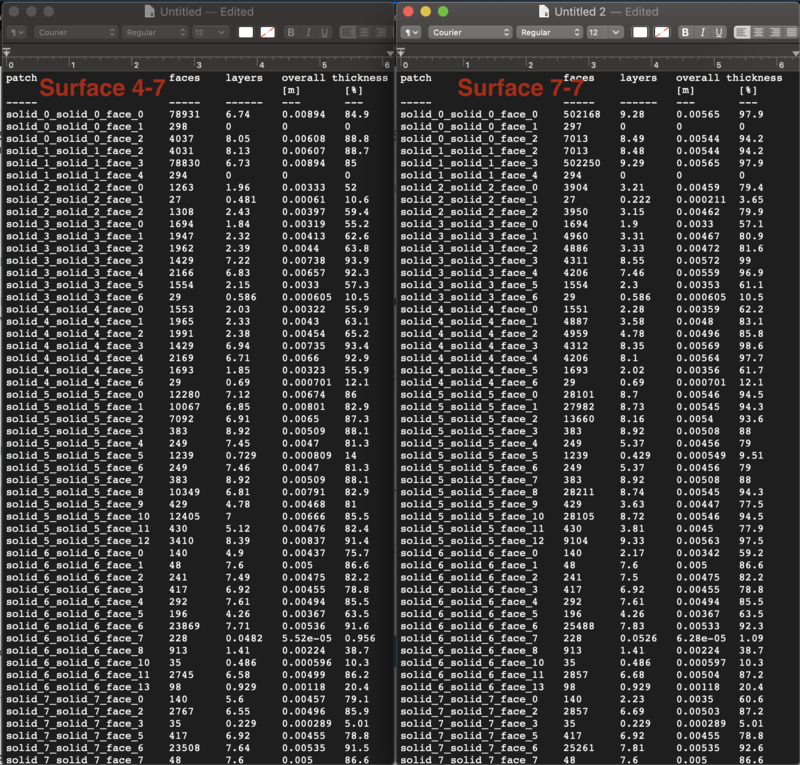 Following experiments in my smaller mesh project, I made one tweak: relaxing surface refinement to 4-7. The result is a 6MM cell mesh with only about 10% layer reduction! I’m now working on cat/mousing some of the parameters to improve this and will report back, but I thought this is a quite significant discovery for the Kramer method of mesh generation! With this reduced number of cells, I think I can likely increase the number of BL layers, reduce expansion ratio, and perhaps increase my max surface refinement. We’ll see how it goes. That 4-7 setting will likely mean that there will be significant volume mesh cells that blend into the prism cells from level 4, which may be a significantly worse gradient than 0.37 ratio. 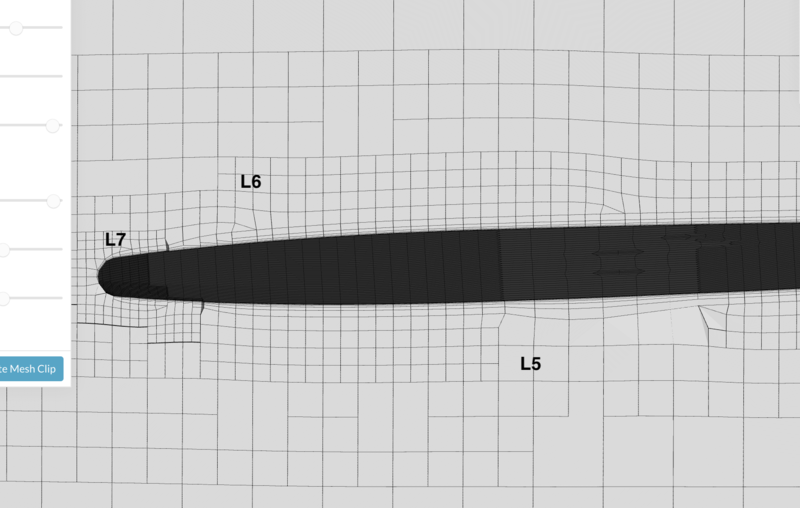 I am eagerly awaiting a point with a completed full res Y+=1 simulation on a mesh which we like so that we can have a look at ‘Eddy Viscosity ratio’ plots. Right @DaleKramer, but as ‘vet’ programmer I’m used to check my assumptions quite often, even before breakfast. I feel that we should not spend 80% of our time messing with mesh. We should devise ‘reality checks’ with Simscale simulations. You remember that talk about ‘solid’ or not ‘solid’ few weeks ago, as I decided to use only ‘STL’ geometries for the sake of simplicity. 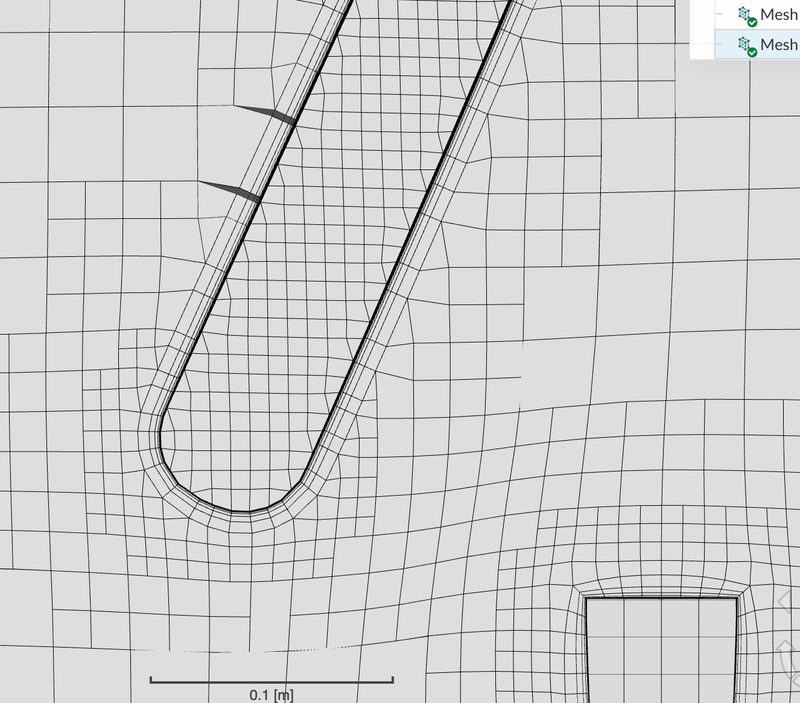 Some guys at Simscale do not like STL at all, and expressed their opinion in our forum. Then when you found cMesh quality so good compared to Hex mesh, you asked for an option to use it in Simscale. Now it is an opportunity to check assumption about SLT, as cMesh seems to use exclusively STL format. 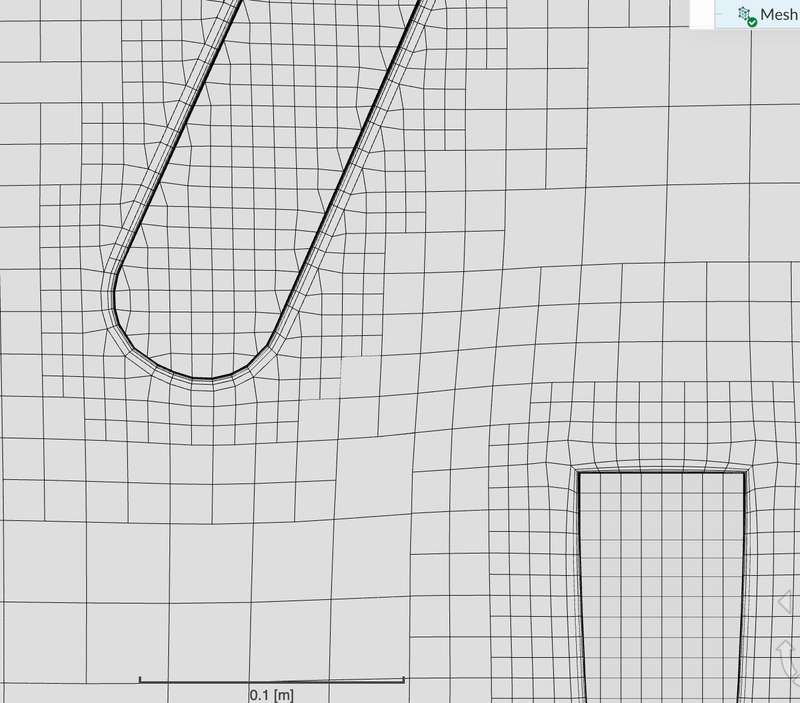 We really need to have a simpler, quicker, morphable, chunkable meshing tool. For instance, I dream about optimization bench, where I define two meshes with a ‘morphing’ zone and initiate (perhaps with my genetic algos) a research of optimal CFD shape. This is just an Easter dream, for the moment. Thank you all for opportunity to peek into the mesh kitchen! For instance, I dream about optimization bench, where I define two meshes with a ‘morphing’ zone and initiate (perhaps with my genetic algos) a research of optimal CFD shape . Hmm interesting I remember that Autodesk offers generative design feature but I think it optimizes for for weight and stress for FEA cases and not deal with CFD sector. We’ve got it already… CAC Deflected/CAC r24e27, Kramer Y+<1, no GBorg should do it with 25MM cells. Maybe, but that isn’t what my tests indicated. See below for a shot from my variable surface gradient layer generation. You can see where the mesh changes densities. It does get a bit larger as the refinement levels go coarser, but the close-in layers stay very similar. This was with expansion of 2, so I imagine it would be better with a lower number. Here’s a close up of the transition between levels 5 and 6 (I think). I’m unsure. This was generated with 4-7 allowable so I’m assuming the leading edge is 7? So there is one flatish surface section where prisms mesh with L5, any L4s noticed yet? Is that is a sim with all sim parameters the way you want them? Is that / your delimiter for sim/mesh…? Okay there is now a completely clean simulation called “For Dale” in the list there. Have at it, big guy. Surface refinement 4-7, absolute sizing, Final layer thickness=0.005, ER=2. Note BL uniformity through three levels of surface refinement. I am glad that absolute may work here, I wish I could remember what project I was on when I chose to start using the default relative layering all the time, oh well. I’m running a sim on that reduced mesh now and it’s showing a similar instability to the 25MM cell mesh, which is both a good and a bad sign. 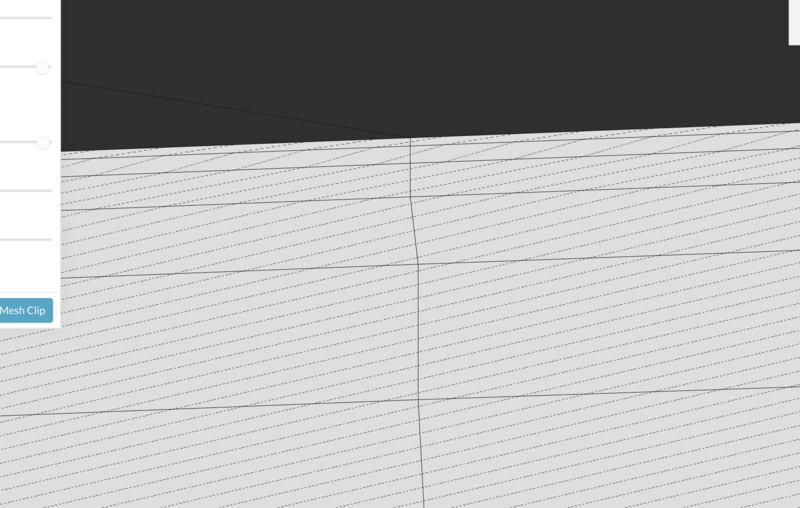 Good that it’s acting like the much desnser mesh, bad that it’s not even remotely converging. How are you going to plot Eddy Viscosity Ratio? Paraview? EDIT: Interesting all looks pretty stable at 400s EXCEPT for pressure moments in pitch and roll ?? EDIT: IT FINISHED YEAH, SUCCESS !! !